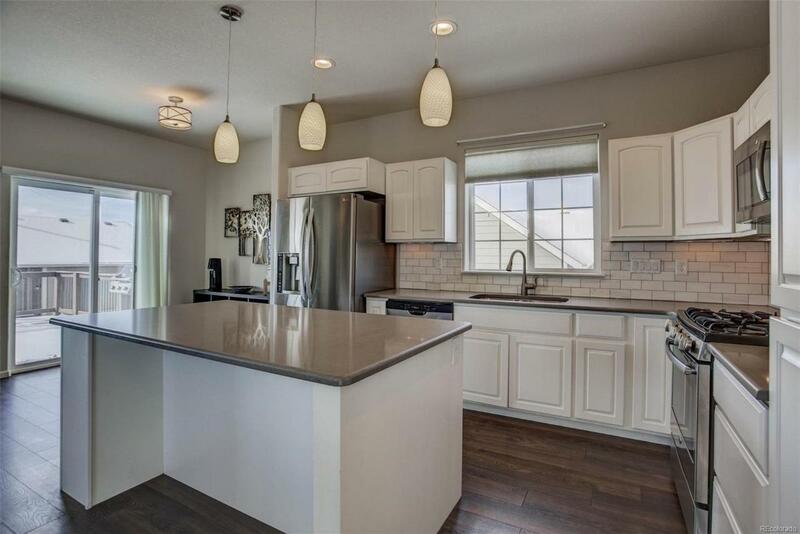 Tons of upgrades and modern finishes in this beautiful, low-maintenance Latitude home. Extensive wide plank laminate wood floors on entire main level. 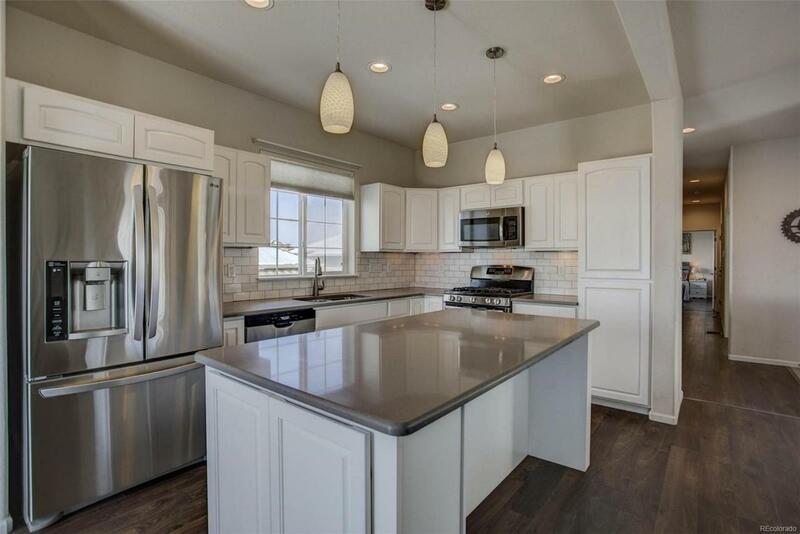 Open kitchen with large island, quartz countertops, stainless steel appliances (all included), subway tile backsplash and white cabinets. 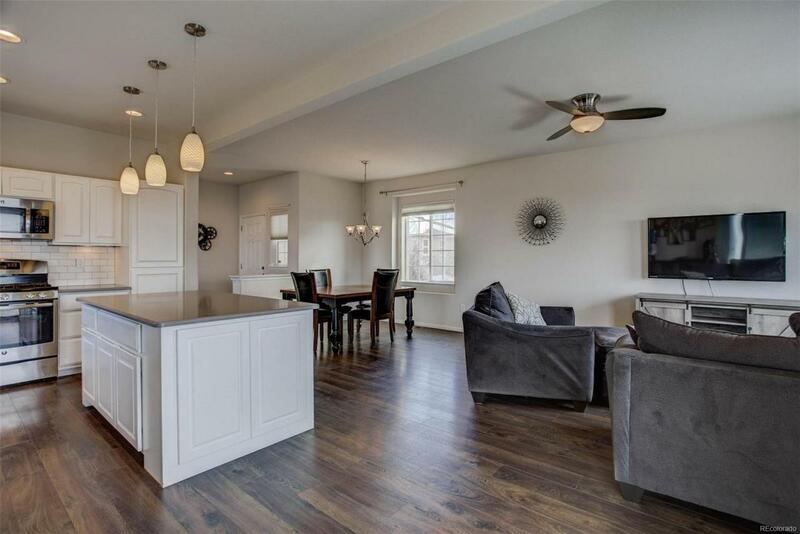 Open floorplan with modern paint colors, perfect for entertaining. Main level master suite with walk in closet and private master bath. Second bedroom/office on main level. 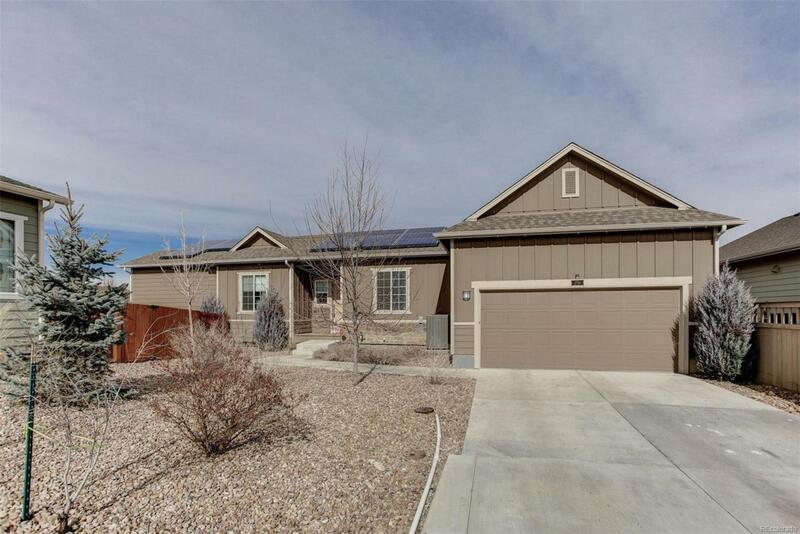 Large deck, fully fenced yard including gardening beds, turf yard and flagstone patio. Light and bright finished basement with garden level windows, two extra bedrooms, full bath and rec area. Highly energy efficient with solar panels and home air filtration system attached to high efficiency furnace. 2 car attached garage. Association Name Primary Vista Ridge Master Homeowners Association Inc.